We had our first big snowfall of the season in Eastern Ontario last night. 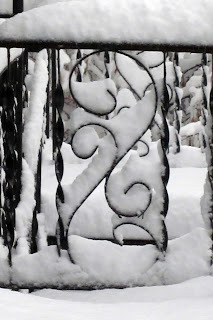 This morning, the snow was piled high on everything and the world was transformed. There were little scenes of beauty to be found everywhere! The trees were especially beautiful with their coatings of snow, like strings of white jewels in their branches. People walking along the sidewalks seemed to be floating through white tunnels. In the evening, it wasn't as dark as usual because the lights reflected off the bright snow. There is something about the first big snowfall that brings out the kid in everyone. 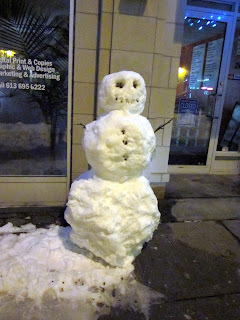 This snowman was standing in a surprising place - on the sidewalk in front of a store in the Byward Market area. Someone obviously couldn't resist the opportunity to make him. Beautiful! 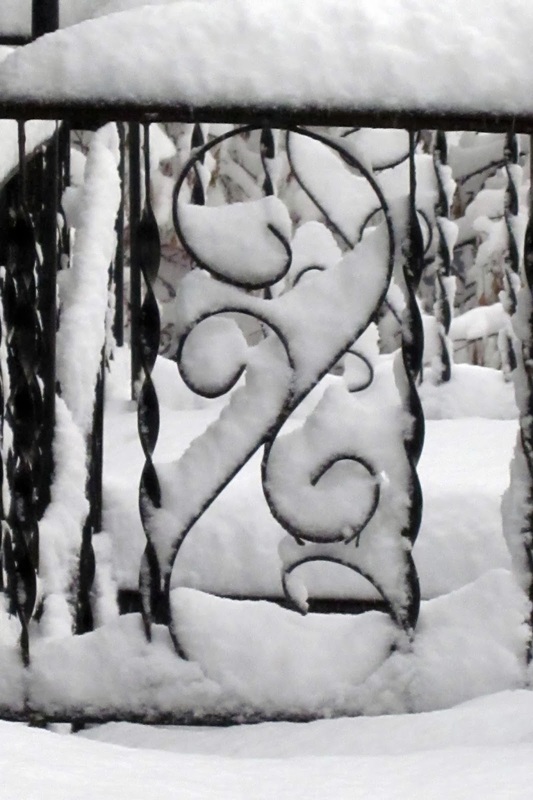 I absolutely love the photo of the snow in the metal curlicues! The contrast of black/white and hard/soft is super!